The world of the mobile industry seems to be getting more and more obsessed with engagement. Increase in the number of active users, session length, retention rate and other metrics that deal with user loyalty being prerequisites of long-lasting success of app campaign, are more important than ever. To add more, Apple has figured that out: building a great app and keeping users happy is of utmost importance to its ecosystem. The result - app rating really matters on App Store. Here is the trend: to achieve app business success, apart from discoverability mechanisms, app developers and marketers should spend time on providing real value to their customers. The number of downloads cannot assure long lasting profit. In fact, it cannot assure any profit at all. The customers who download an app are more likely to use it only once and delete afterwards. Real customers of the product are those ready to use your app as often and as productively as you need them to. Success drives profitability and comes via long-term relationships with your customers, that should be put into revenue generating strategic context. Engagement is truly a key to success. And a key to engagement is the value you create for your users. You can convince a customer to install your app but if it doesn’t give them what they like, they won’t use it. As a user, I would download a free app that looks like it can be useful for me. 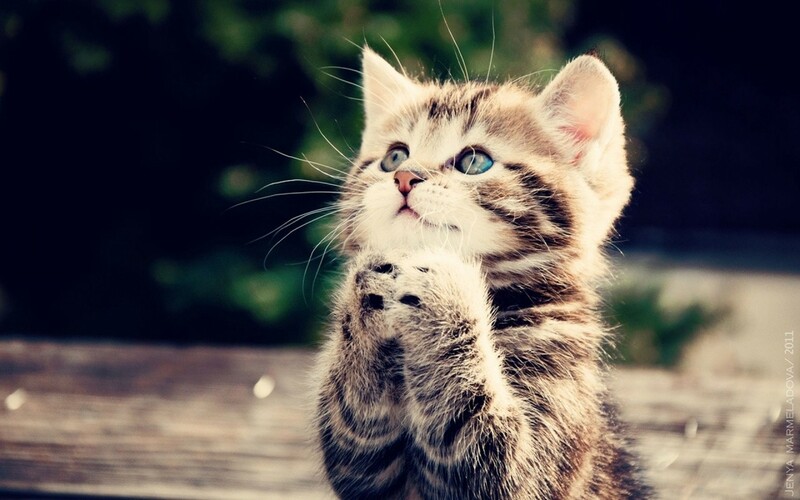 Then I would pay attention to whether it is convenient to use and if it really works without any defects. But what would really make me feel like opening the app every day is the content that matches my interests, something that does not irritate with too many ads, stealing my personal information and being intrusive in offering things, but understands my wishes and acts accordingly. Providing value is more than just providing content. We need to provide that content in the format our customers want to consume it and get engaged with it. The thing is that the value should be beneficial for both - you and your customers. Once the value has been found out the next step is to achieve user loyalty, because loyal users are dedicated to your app and tend to do what it offers them and promote it through the word-of-mouth. However, determining what your users choose to do in your application and if they want to click on what you ask them to, can be difficult. All the insights on how to build a destination users would love to come to are stored in your analytic tools. The exact set of metrics that you should keep track of, in particular, can vary and depend on your app. Your target audience and their behaviour are what matters. The most commonly collected analytic metrics that establish the app quality are retention rate, number of app sessions or average session length. This is not enough though. You should have more detailed data, thoroughly analyse it, conduct several experiments and ultimately get desirable results. You want your user to perform key actions. They should be the tactics you define from the start and push from there. But make sure you do everything possible to optimize user experience and nudge your customers to do what you want instead of discouraging them. Like, for example if session length looks satisfactory it does not mean the user is really involved in the app content, he might be simply wasting his time and getting angry while trying to find the page he is looking for. In this case, you should take a close look at what exactly a user is doing inside the application. You should know the number of people who download your app and use its main function repeatedly. This number is your alarm indicator. You should designate the number of times a user should open your app to become a loyal user. Pay attention to what section of an app your users spend more time in. Items depend on the type of an app, it can be the number of products or videos viewed, the number of items read, the number of items added to the shopping cart. Number of people who installed an app during a specific time period and are still active users of the app for a designated time period. 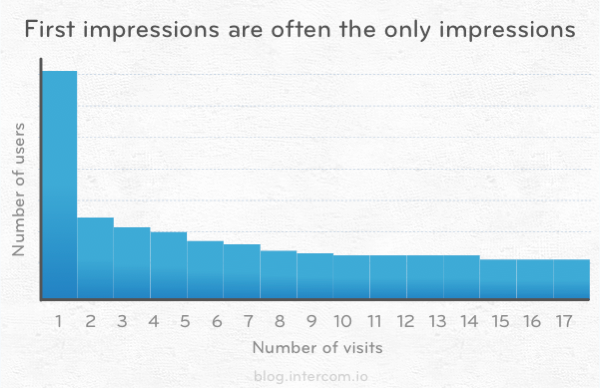 Retention is the most important metric when it comes to user engagement. Number of items purchased, subscriptions, or registrations. These data depend on the type of service you offer. For example for a messaging app it can be the number of messages sent by active users per month, for a runner app - kilometers run, for a music app - number of songs listened to per day. When you get satisfied with user engagement metrics it’s time to link it to revenue. The source of revenue should always be connected to interests of your user segment whether you rely on advertising or in-app purchase. How to increase engagement in mobile app? The main approach here is to design the app for the clients, not for yourself. Don’t offer all the features from the start and don’t expose them on the first page. You should get your users deeper in the app by carefully paving the way there. Always leave your customer the right to choose. Taking some actions without user’s consent will never bring good results. At first let your users see what the main functionality is and analyse their preferences. A worthwhile app has features that are not immediately apparent. Never steal personal user information without asking. People are very sensitive to their privacy. If customers agree to share their contacts and other information your app should know how to use it and stop asking the same thing over and over. Make sure the app does not lose the data your user enters. For example, I am writing a long message. Then somebody calls me after the phone conversation is over I want to get back to the message and suddenly notice that everything I have been writing for so long disappeared. These situations should not happen. Technical issues are the most significant. Poor app performance badly affects user experience and the chance the get new customers is very low. That’s why testing is very important. Building a good quality product is not enough. You learn from data analysis and see what there is in your app that helps to attract more customers and retain existing ones. Growth hacking is by far and large a combination of traditional marketing and analytical skills with product development skills which boosts loyalty to your app and proves effectiveness. The purpose is to acquire new customers, get active users engaged with your app as often as they can, and ascertain profitability growth. 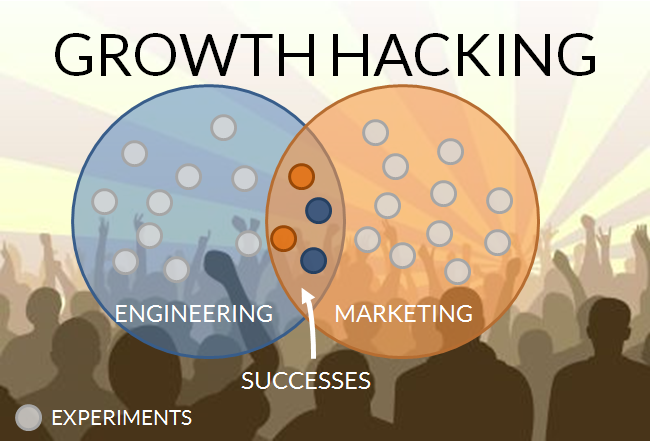 Growth Hacking is associated with using techniques focused on virality, email, search engine optimization & marketing. All those buzzed tricks the most successful companies use, everything clever and sometimes non-traditional that an entrepreneur can "hack" together specifically for growth purposes. Among the most commonly used methods of growth hacking, app developers often apply such techniques as notifications, alerts and emails. All these reminders about your app existence are meant to motivate the customers to open it and stay there longer. However, not every method that worked perfectly well for somebody else will function just as stainless for your app campaign. The concept of "growth hacking" is a recognition that when you focus on understanding your users and how they discover and adopt your products, you can build features that help you acquire and retain more users, rather than just spending marketing dollars. You cannot judge anything until you experience it. Data analysis is the key to success. "The information is valuable to any app publisher who has real business goals beyond the download," said Michael Oiknine, CEO and co-founder of Apsalar.